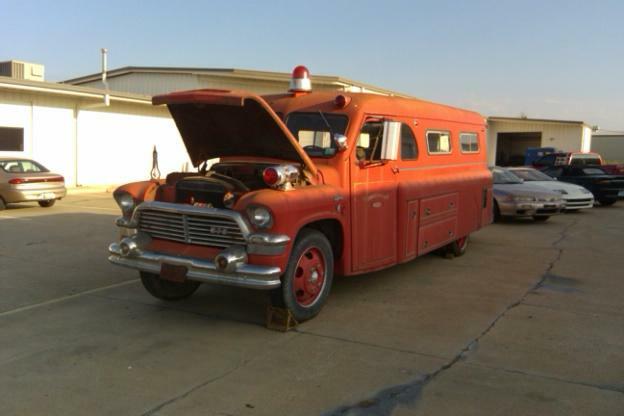 This is the 1956 Firetruck I'm restoring for a customer. The only thing I'm not doing is the paint. It has 15k original miles on it. There is a full functioning generator (same year as truck), a gas heater, bell (the bell is on the pass. side front fender... it's not in the picture... it's on the owners desk), siren, flashing lights and all kinds of odd electrical gadgets on it. So far I have the engine running like a top and working on the generator now. All the wiring needs gone thru and repaired. Last is the brakes... Once it's all painted I'll get more pictures uploaded. Nice project, keep us updated.